Herbs can heal, comfort, and nourish, and they hold ancient energies that people have used throughout time to create magick spells. This same magical power in nature is yours to explore through the use of everyday sacred herbs to facilitate change and find the support and inspiration you are seeking. 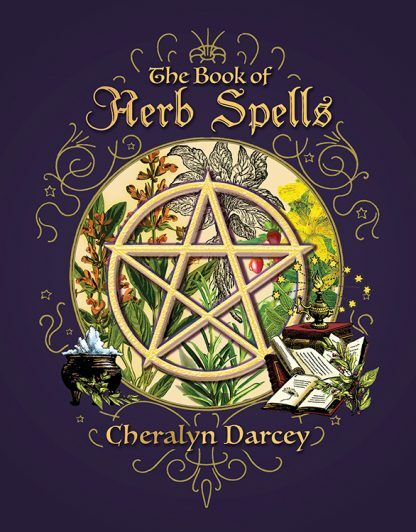 Along with 60 sacred herb spells from Cheralyn�s personal nature grimoire, The Book of Herb Spells shares with you spell casting and spell crafting basics, magical gardening, supply sourcing, and dedicated lessons on how to write and cast your own spells. To complete your treasury of herb nature magick, a beautifully illustrated personal grimoire journal section is provided as a place for you to keep your herb spells.